Day 3 Takes us on a big loop around Bath. One of the joys of traveling with young people, is that you seek out and do things you would never likely do, if you were traveling as a couple, or on your own. One of these special things is visiting Zoos and Aquariums. Our young traveler enjoys ‘live things’ and so seeking out some animals, fish, birds and plants, makes the more static entertainments endurable. Our first stop on a cloudy day is Longleat Safari Park. It is part zoo and part drive through safari. 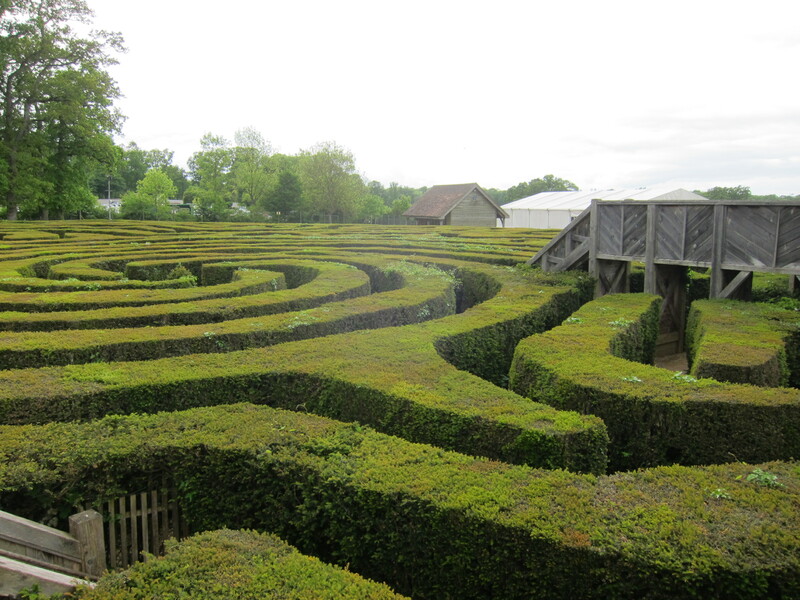 We’ve all decided that the drive through part is not on the agenda today, but the hedge maze is at the top priority. We got a late start, as the time was not quite making sense yet. 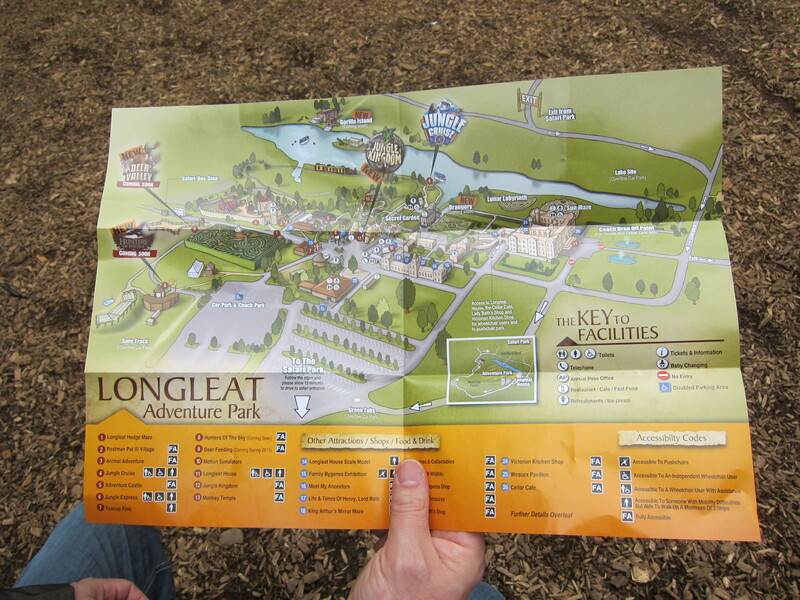 Longleat seems literally in the middle of nowhere. I set the car’s Nav for it, and was shocked it got us there – with some signs to guide us to the entrance, the road had tons of yellow & purple wild Rhododendrons. The gatehouse sells the tickets and parking together – a hefty sum, but it bid us entry. The driveway had a dramatic splash of rhododendron & azalea colors but I was totally unprepared for the big house which was revealed at the crest of the hill. 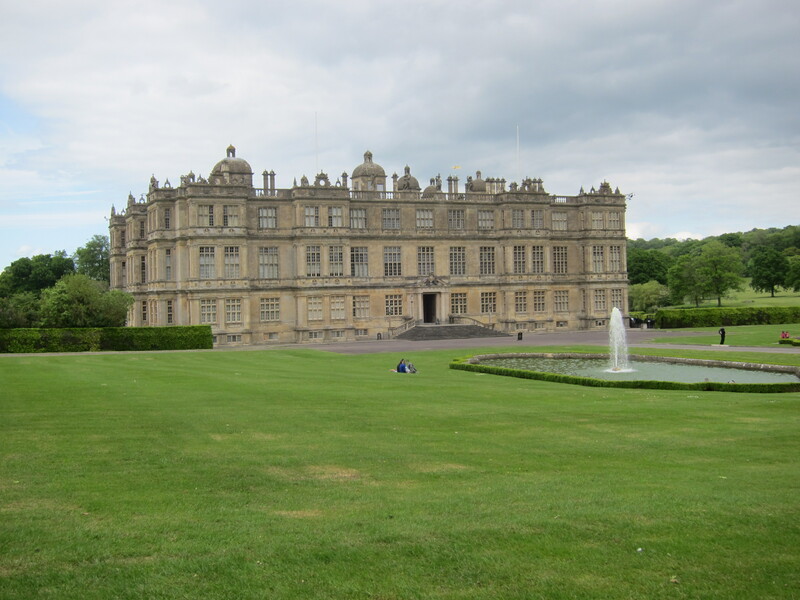 Apparently the Longleat property is owned by the Marquess of Bath. The ancestral house was started in the 1500s. It is breathtaking. On the road in I spotted our 1st pheasant of the trip. We parked and headed in. A pavement labyrinth greeted us and we headed directly for the Hedge Maze. The sky was overcast and threatened rain, so despite the 30 min + maze-solving time warning we headed in with hooded raincoats ready to go. Five minutes late (no kidding) we reached the center and exit. Their record was 10 minutes, so either there was luck, or our current hedge maze solving tactic works like a charm. Trent was taken by the prospect of a playground, so he was even more delighted to find a two-story structure with metal slides, climbing nets, zip lines all with a tree house theme. What fun! After a good run through, we decided to go in search of the Mirror Maze. On the way we ducked into the Bat Cave and were stunned to find it was a dark building with actual bats flying around your head as you walked through. Too cool!. Off to see some animals, we visited the Meercats, chipmunks and The next stop was King Arthur’s Mirror Maze. The goal to find all the treasures (holy grail, crest, sword, etc.) and escape. A little on the easy side, we still enjoyed it. A quick not-so exciting lunch in the basement of the big house we went in search of the Sun & Moon mazes. Alas the yew was not grown enough yet and it will be a few years until they are open. We wandered the gardens a bit. We found a full model of the house and decided to wrap up our visit with the Monkey House. Who would have imagined our adventure to come. In the bird house they sold little pots of liquid food for the birds. I bought 2: one for Trent and one for me. They warned to keep it covered until you were well inside… good luck with that. Within seconds of entry both Trent & I were covered in hungry birds. Trent was not too thrilled with the experience, I loved it! Thank goodness he strongly requested we go to the Monkey House otherwise we might have missed it. A rabbit pet and snake holding session later, we exit the park to dramatic views of the house. Off to Lacock Abbey. We arrived mid-afternoon. The tour is self-guided which suits our family well. The first stop was the stone arched halls around the courtyard. 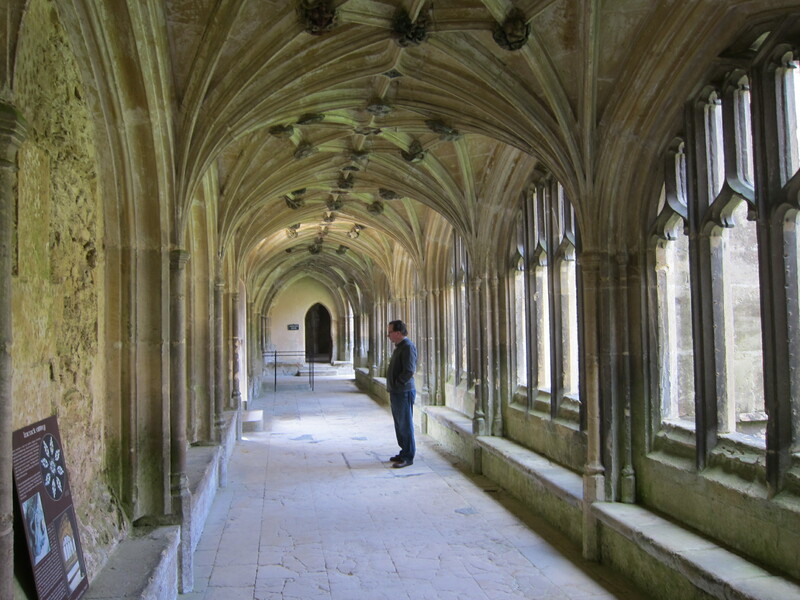 Some of the rooms off the halls were used as classrooms in Harry Potter movies 1 & 2. The crawl around the very “house” like Abbey was fun. 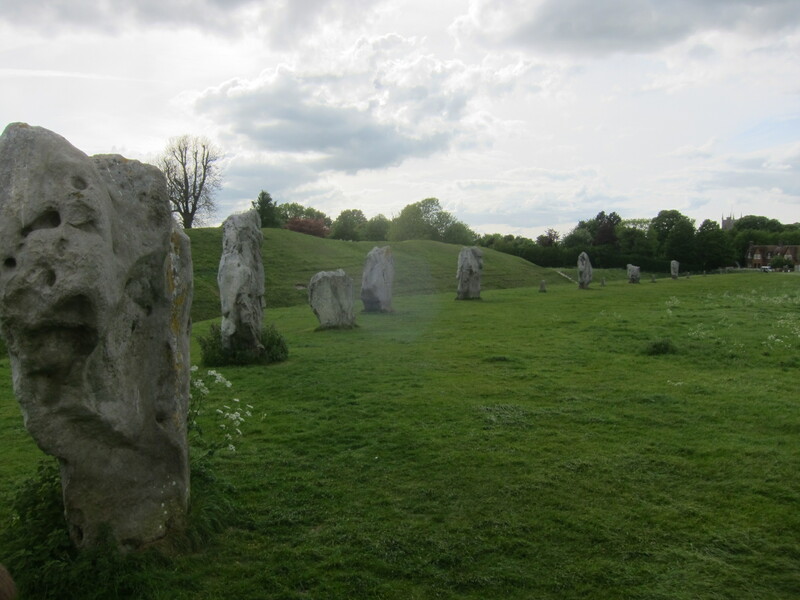 We had just enough time to get to Avebury before the gates closed. 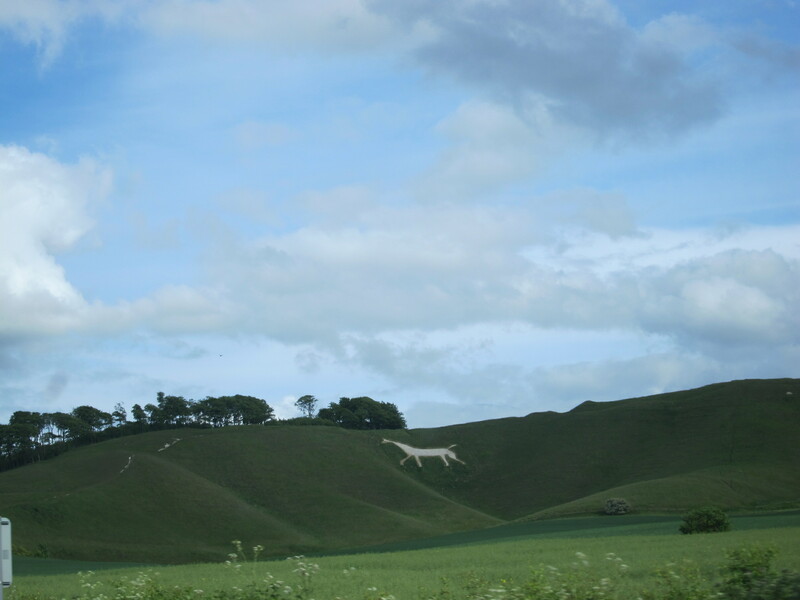 On the way we spy a White Horse carved into the hillside. I think it was the one at Alton, Wiltshire. We arrive at Avebury just a few minutes before the shops and other sites close and have a walk around. 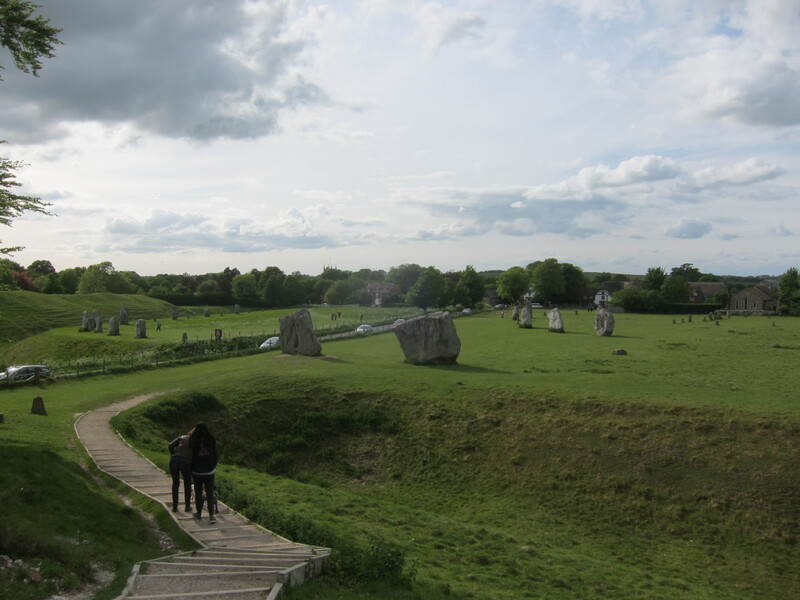 We note the white paths (chalk) which make a dramatic contrast to the stones and the green grass. Lots of sheep around, so stepping cautiously we wander amongst the stones (you can touch them and walk around them). 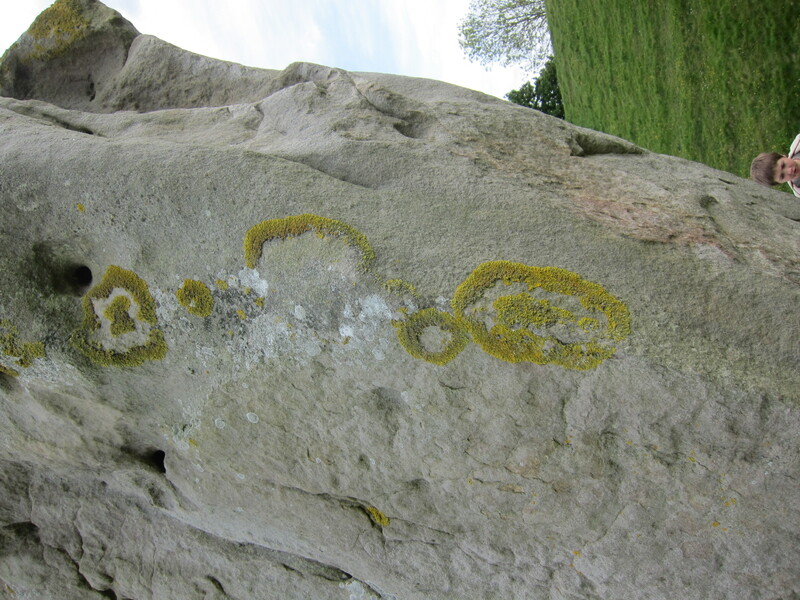 Avebury is very different than Stonehenge, but alas I still was not entranced by the site. There is a road which runs through the bigger circle and the small circle is very close to the town. We visit the museums close by just before they close. One of them is very new and supposedly kid-friendly, and could not be more boring. Fortunately I had purchased both an English Heritage and National Trust membership so our visit didn’t have an extra charge, otherwise we would have been feeling rather ripped off. It was now late enough we needed a dinner plan. 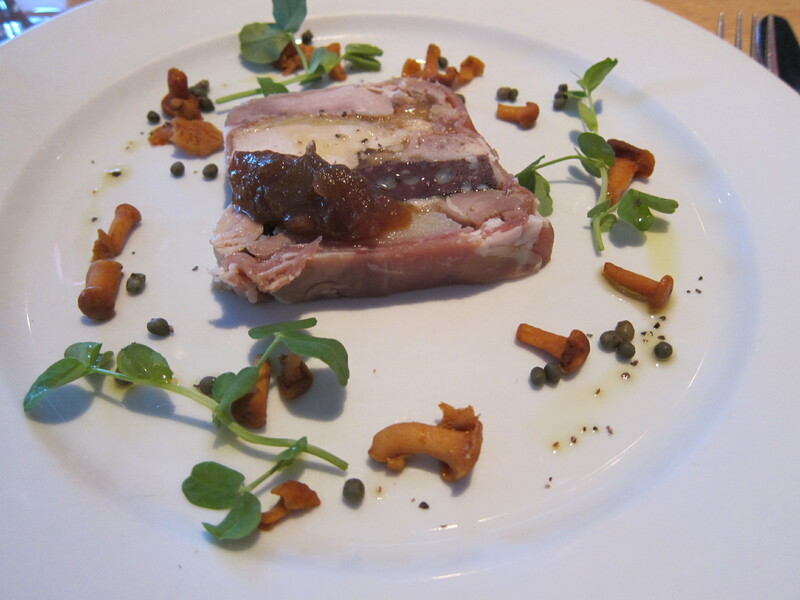 I had scoped out a 1-star Michelin gastro-pub near Bristol, and an interesting little restaurant not too far from Avebury, as options. We settled on the 1-star and I called to make a reservation and set the Nav. We drove cross Bath directly to The Pony & Trap, in Chew Magna. It wasn’t worth the long drive, but we did have a pleasant dinner. An evening drive back to Bath and we had a lovely night’s sleep to get ready for the big outing in the morning: Prince Charles’ Garden. Nice to vicariously experience England through this post, it is one of my favourite countries.Thanks for following my blog. 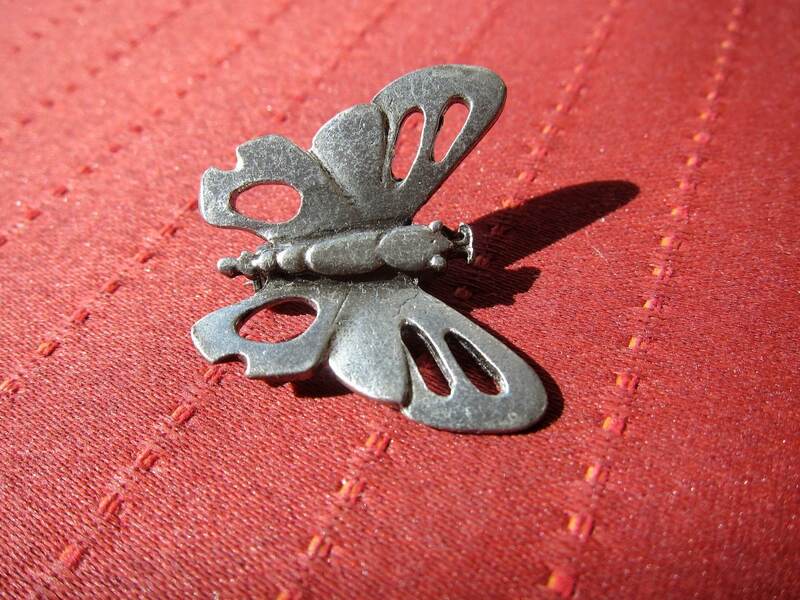 I enjoyed the interview with the vintage jeweller as well. cheers.